It seems to have become an annual tradition now, writing you a letter on your birthday every year. This year you would be 27 in earth years. It is hard to believe that 27 years ago I was in Good Samaritan hospital in Phoenix, Arizona, cuddling my beautiful little baby boy. Twenty seven years, half a lifetime. As always I wonder what you might be doing if you were still here, and as always I know you would not want a fuss or a party. You were always a low key kind of person. I’m sure you’d being going out for a beer or two with your mates though. You were born at 4.35 in the morning, and arrived quickly and without any drama. Whenever I hear the song ‘Have yourself a merry little Christmas’ by Judy Garland I always shed a tear, as I was watching this in bed during the day, the day I went into labour. I phoned the hospital about 10 pm and told them I thought I was having contractions every 3 minutes and they told me not to come in until I couldn’t talk on the phone, but I went anyway and refused to go home until you were born. You were due on the 29th but conveniently arrived a week early and I was back home by Christmas Eve. You always missed out a bit on the birthday presents being born so close to Christmas, but I always tried to make sure you got two lots of presents with a birthday party the weekend before your birthday so there was a bit of a gap in between. I suppose writing to you gives me a chance to reflect on what I am doing and makes me feel connected to you. I know you can’t read this letter but I hope you are out there somewhere hearing my thoughts. I know your life here on earth was cut short but I do always try to feel grateful on your birthday and look on it as a day of celebration, a celebration of your birth and a reminder of all the happy times and the love we shared. Even when we were cross we always told each other ‘I’ll always love you’ and now I am so grateful for that. My life has changed drastically in the last year. I quit my job and started a degree course at University. I wonder what you think of that? Me a student…. I know it’s kind of amazing. I don’t think anything I do would surprise you though. I remember once when my friend phoned the house and you answered the phone. When she asked where I was you told her ‘Oh, she’s off walking on red hot coals again’ very nonchalantly as if it was an everyday occurrence. We always laughed about that. Of course we had rows sometimes, although ironically when you dropped out of Uni, we got to spend more quality time together in that last year of your life than we ever had before, and I am always grateful for that. When I look back at all the childhood photos I know you had a happy childhood and I am grateful for that. I know you found life challenging at times and ultimately just too much, but my biggest hope in all the world is that you knew how proud I am of you. I am proud of you for fighting your demons for as long as you did, and I am proud you were a sensitive, kind, funny young man who was loved by many. I miss you more than words can ever say, in some ways the missing gets worse, but as I go through my life, now at University, I feel sure you would be supporting me all the way and I still chat to you and in tough times I think ‘What would Toby say’ and I hear your words of wisdom whispering in my ear. So today I celebrate your birthday, Happy Birthday my beautiful boy, I’ll always love you. I went up to your memorial place and hung a heart on your tree and a lovely Owl ornament that Aunty Sue sent. You will be remembered, loved and missed forever. This entry was posted in Uncategorized and tagged bereavement, Christmas, gratitude, Grief, Healing. Bookmark the permalink. Thank you for sharing about your son Toby. Writing to him every year on his birthday is wonderful, and I plan on doing the same – what a great idea! Sometimes I feel as if my son, Cole, is at my right shoulder looking at something I am writing. Not sure why my right shoulder, and not my left. 🙂 At any rate, I feel very strongly that the veil between us is very, very thin – and that our children CAN hear and see us as well as feel our love. This is my 1st Christmas without Cole (age 33 when he took his life), and the peace I am operating under is truly the kind of peace only God can administer, the peace that transcends all understanding. It surely is not coming from me, on my own and by myself. No way. I keep my focus on the fact that Cole is at peace NOW, something he never had during his time here on earth, then I should not begrudge him that – in his mind, this was his only option (to take his life) to end his pain. But nothing will ever take away the fact that we were their loving Moms and that love never goes away….Peace to you this holiday season. A few weeks ago, I was talking with a friend, and I said “I could handle this a lot better if Cole had been in an accident, or had cancer….” then I stopped and was utterly gobsmacked by that comment I had just uttered. How on earth do we get the “word out” to the masses, that chronic depressive illnesses are killers just like cancer and other diseases, when I, as Cole’s mother, had just echoed that misconception? I guess we start with ourselves, our family, then our friends….and like ripples in a pond, there will be change for those who, God forbid, follow after us. Ann, what a beautifully scripted passage about your son and how you celebrate his Birthday. It has moved me to tears because a lot of what you have written echoes with how I feel my lovely sensitive son was and how he and other parents’ children do struggle so much with their thoughts and emotions that it becomes overbearing for them to cope.I plan on writing a letter on my son’s birthday this year. Thank you for sharing this. 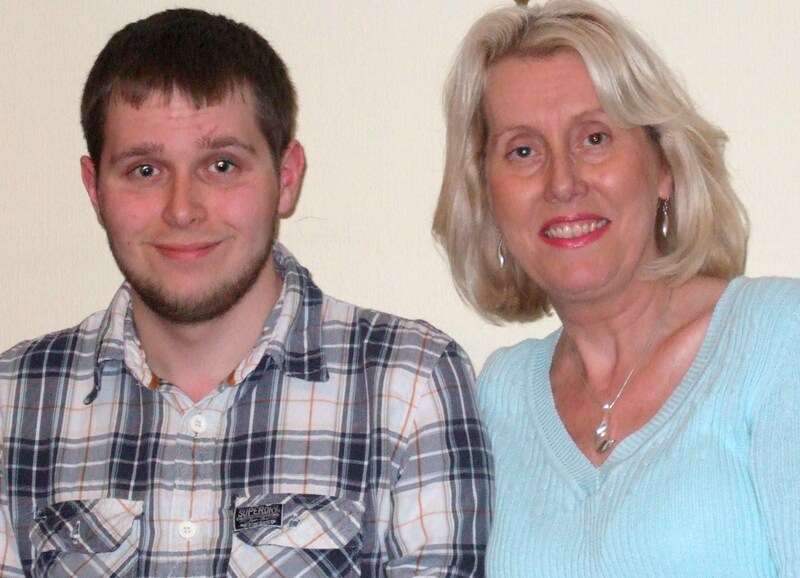 I just lost my son Daniel to suicide on March, 18th 2015. Not quite a month ago. I feel so lost without my beautiful son. I feel so incomplete, empty, and numb. I will never be the same. I have brief moments where everything is the way things were before the 18th, but now it’s more normal to be in pain, crying, sad and lost. I don’t feel most people understand the magnitude of this kind of loss. I have experienced death many times. My parents, brother, grandparents, close relatives. But this is a whole other level. Tadd ended his life on Feb.15th of this year and I am still searching for a way to live with this constant pain and a reason to continue. So in that search I found this site and read your letter to Toby. How do you get from the where I am to where you are? I have always loved life and couldn’t wait to see what was around the next corner but since I lost my son I don’t care what is around the next corner because I know it’s not him. So any advice I can get to help me want to continue would be a Godsend. And to Irene I am feeling exactly as you are a month further into this nightmare. Hi Sandi, I am so sorry you are going through this hell, there is no easy answer, the only way out is through. I realised very early that I had 3 choices, and I chose to try and live the best life I could in the circumstances. I realised that tragedies can happen to anyone, and once it has happened you can’t turn the clock back so the only way to survive is to choose life. I think Toby would want me to get on with my life, I do it to honour him and his memory. I found that talking and writing about it helped me and that is why I set up this blog and set up the support group. The only thing that really helps in the beginning is talking to other parents who understand what you are going through. You are in total shock right now so just focus on getting through each hour. Take all the help and support you can get and reach out to others. I found the Jeffrey Jackson book helped me a lot but at the beginning you are just in survival mode. Try to eat, sleep and look after yourself. I found that acceptance is the key, I believe Toby died of an illness he could not control and did not want to die, he wanted to end his pain and thought he was a failure and a burden. I hope you find comfort and support from the support group, but feel free to email me anytime. Sending love and best wishes as you walk this journey to healing and recovery. Today my son took his own life,I’m not sure how I feel numb,devastated,angry sad! How could he leave his sister shoe adores him? How will I cope without my beautiful boy,how will I help hi sister cope,why has he done this. I won’t see his beautiful face or hear his voice,smell him touch him.